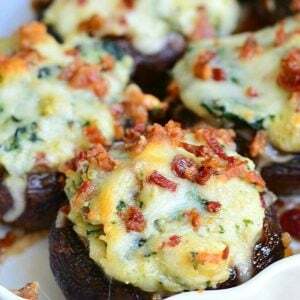 Incredibly delicious stuffed mushrooms, made with a flavorful mixture of crispy bacon, spinach and Italian cheese mix. I hope everyone’s holidays have been nice and you’re ready to greet the New Year! We’re getting ready for the New Year here and I’m preparing some appetizers to share with you and to decide what I will serve on New Year’s Eve. Almost every year, I make some kind of pizza roll ups or pinwheels but I just realized that stuffed mushrooms would make a wonderful party food and it’s so easy to prep ahead of time. I like to get most of my food prep done in the morning or the night before the party. 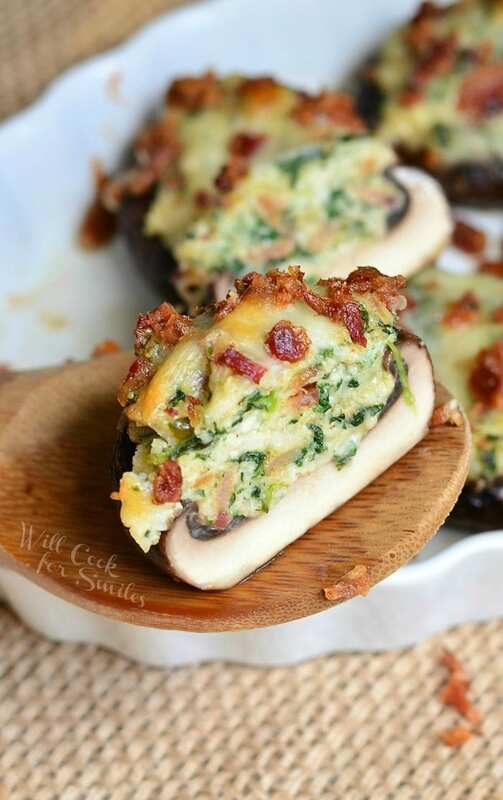 These stuffed mushrooms are very easy to prepare ahead of time, just do everything except baking them in the morning, cover and refrigerate until ready to cook them right before the party. 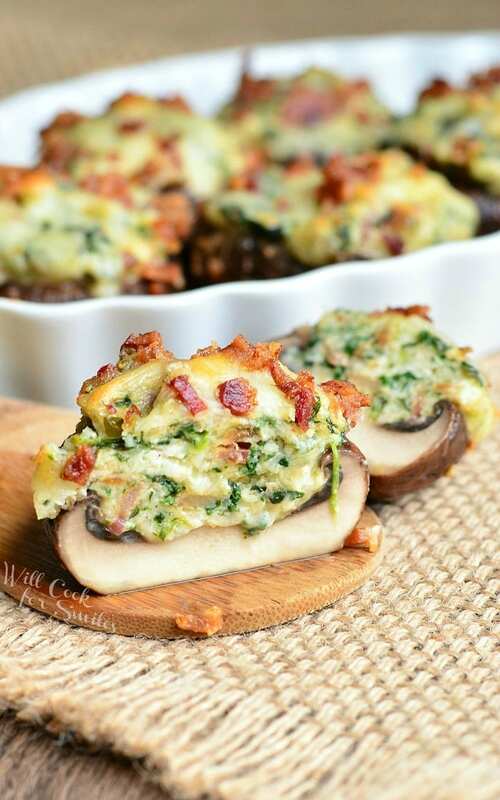 When ready to make, just place stuffed mushrooms onto the baking dish and pop them in the oven. 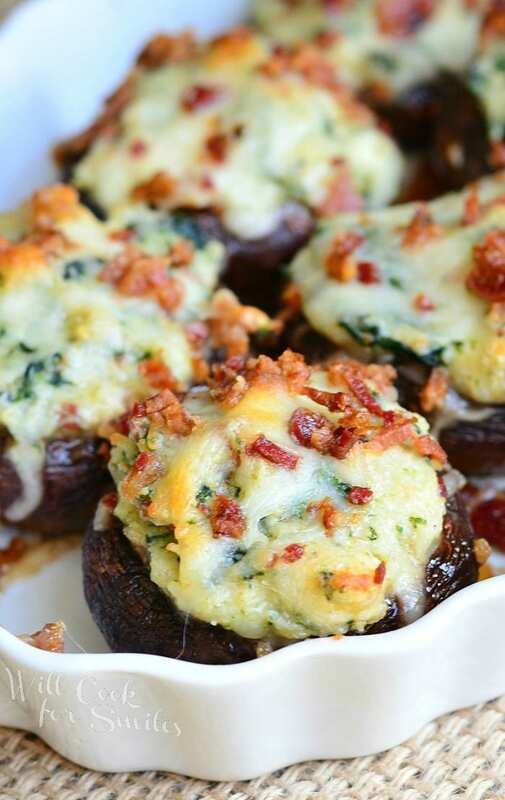 Whether it’s for 2 or 20, this stuffed mushrooms recipe will be a hit of the party. 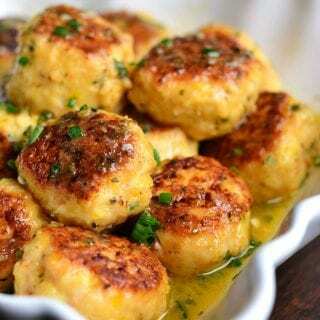 You can use either small baby bella mushrooms, medium ones, or large ones, depending if you’re making them for a big party or a private family evening. Wash mushrooms and carefully take off the stems. Toss mushrooms lightly in olive oil and set aside. Preheat a small cooking pan and 1 tbsp of olive oil on medium heat. Chop spinach and add it to the pan. Cook covered over medium heat until almost cooked. Mince garlic and add it to spinach. Dice bacon strips and add it to spinach as well. 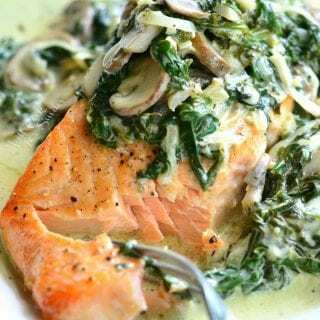 Mix well and cook until spinach is done. Take off heat. In a medium mixing bowl, combine cream cheese, bread crumbs, cheese mix, egg, salt and pepper. Mix very well until all combined. Add spinach and bacon to the cheese mixture. Mix until evenly incorporated. Place mushroom cups into a baking dish. Carefully fill mushroom cups with cheese mixture pressing down lightly with your finger to fit a little bit more. 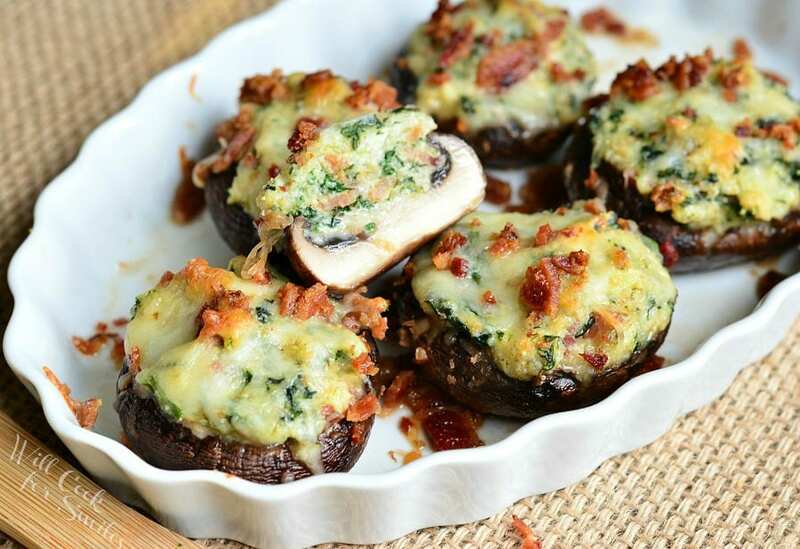 Sprinkle each stuffed mushroom with a little bit of cheese and bacon. These look awesome! What a hit at a party! 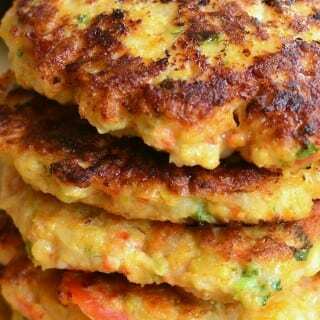 YUM – would love to make these for a future party. We’ll be out of the house tomorrow (we did the sleep-before-midnight thing last year, ha)… I’ll give them a try for the next one though. Thanks Lyuba and Happy New Year! A friend of mine is making a similar version for tonight. They always go quickly. looks good! theres a hair in one of your photos, though. I am planning on making these for a family gathering but my sister in law is allergic to gluten. Do you think the consistency would be alright if I took out the bread crumbs? Thanks! So Sorry for a late response. I believe they sell something like gluten free bread crumbs. I’m pretty sure I’ve seen them from most major brands. I hope you’ll find some and get to make it! I have made these twice now, and I LOVE them. My only complaint is that the mushrooms are wet and kinda soggy. Could I cook some of the water out of the mushrooms before stuffing them? Stuffed mushrooms aren’t normally cooked first because the stuffing needs to cook with the mushroom. Mushrooms normally do give out quite a bit of juice as they cook. You can try getting a bigger mushroom, that way it’s not fully cooked and still has a bit of fullness to them. That way not all the water will cook out. The more you cook it, the more it shrinks and the more juice comes out. So either a bigger mushroom or less cooking time would help to reduce the juices that come out of the mushroom. So do you cook in the pan until the spinach is done or until the bacon is crispy? Or does the bacon cook the rest of the way in the oven? The bacon should actually already be cooked. I’m sorry, I should have been more clear in ingredients. It lists “crispy” bacon strips. I will clarify that they should be cooked. I normally cook them ahead of time. I hope you enjoy the mushrooms! Hi! Please tell me what the Italian cheese “mix is made up of. Hi Eileen! I use the Kraft Italian cheese mix and it has Mozzarella, Provolone, Asiago, Romano, and Parmesan. There are also other Italian cheese mixes on the market. Do you have any suggestions for how to make this gluten free? (besides using GF breadcrumbs). I’m wondering if I could use almond flour in place of the breadcrumbs, or possibly rolled oats? Hi Megan! I would not use flour because it serves a completely different purpose. Is there a problem with using GF bread crumbs? Bread crumbs are added to help with moisture and texture. Oats would not blend into the cream cheese, you will definitely feel them while eating. Other than bread crumbs, may be some sort of crushed GF cracker or crushed bagel chips. That’s clever! I’m glad that it worked out well for you!! Can this be made a day or two ahead of time? or any part of it? You can prepare the stuffing ahead of time and then just stuff and bake the mushrooms when you’re ready. I wouldn’t prepare mushrooms too much ahead. Can I leave out the egg? Hi Nicole! I’m SO sorry I missed your comment! Technically, you can leave it out but, the egg is what binds the other ingredients together. 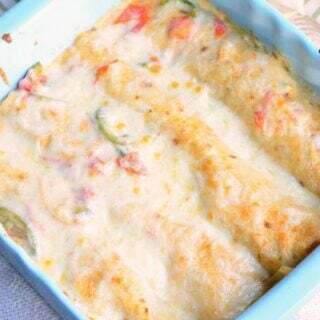 What you can do is may be add another tablespoon of cream cheese to bind the ingredients. Luckily, there is cheese here and that will act as a binder once cooked. You can also add a little grated mozzarella (off the block not already shredded in a bag) and it will be sticky. My doctor told me to lose 10 lbs. Not today, doc, not today. This is my nirvana. These look awesome, I’m trying them tomorrow!! Hi Susan! I really hope you enjoyed the stuffed mushrooms! They turned out great! Easy, yummy, and the hub loved them. 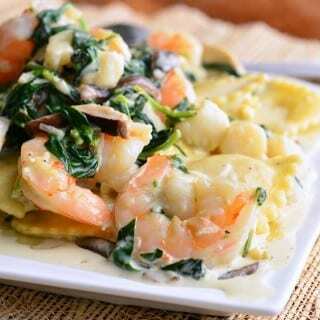 Thanks for sharing your great recipe, this one’s a keeper! Oh, awesome! I’m happy to hear that! 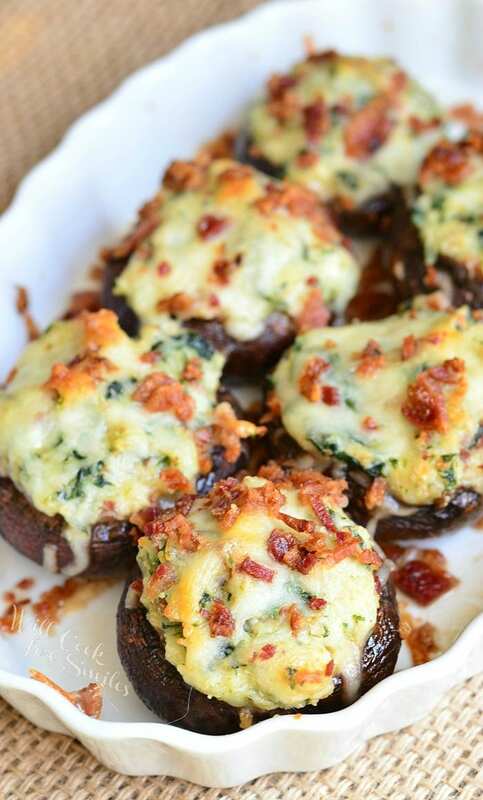 Thanks for sharing your Bacon Spinach and Italian Cheese Stuffed Mushroom recipe. I love them and this reciped is perfect! 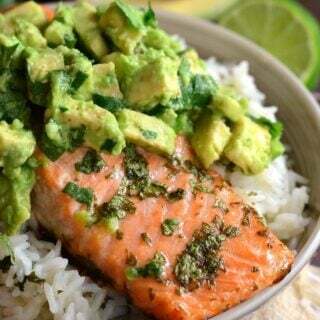 OMG your recipies make me drool!